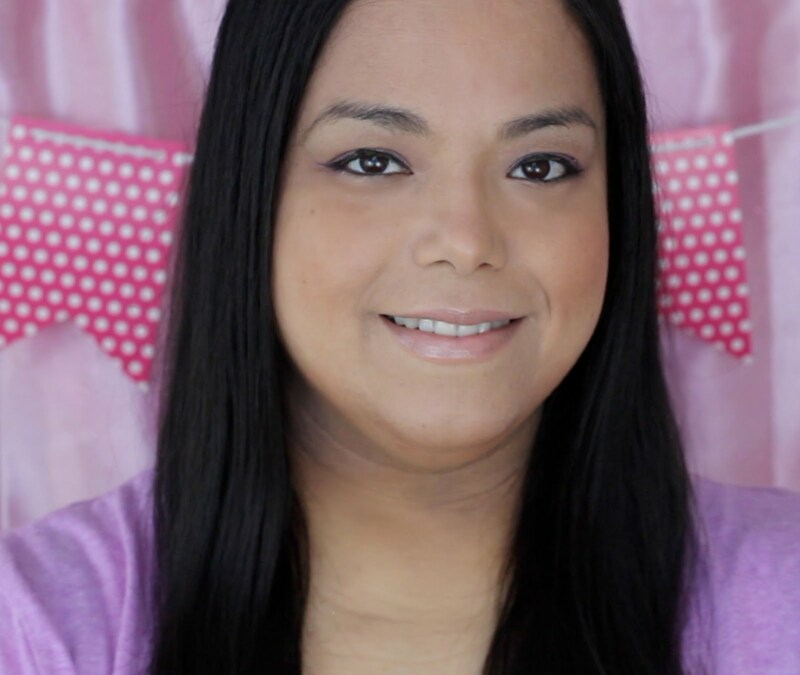 I have been wearing my FitBit since I started my weight loss journey. It definitely keeps me motivated as I try to reach my daily step goal everyday. 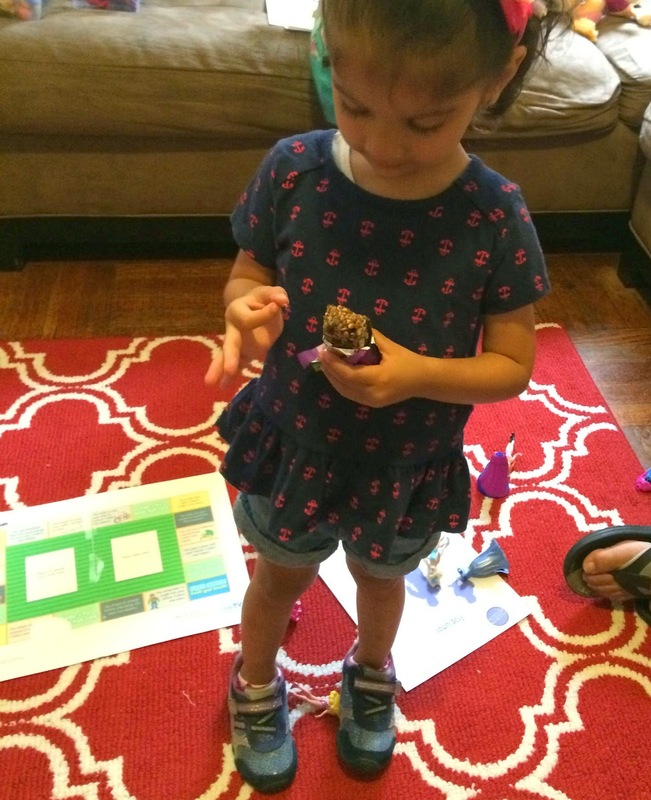 When I heard that LeapFrog was coming out with an activity tracker for kids I was thrilled to try it. 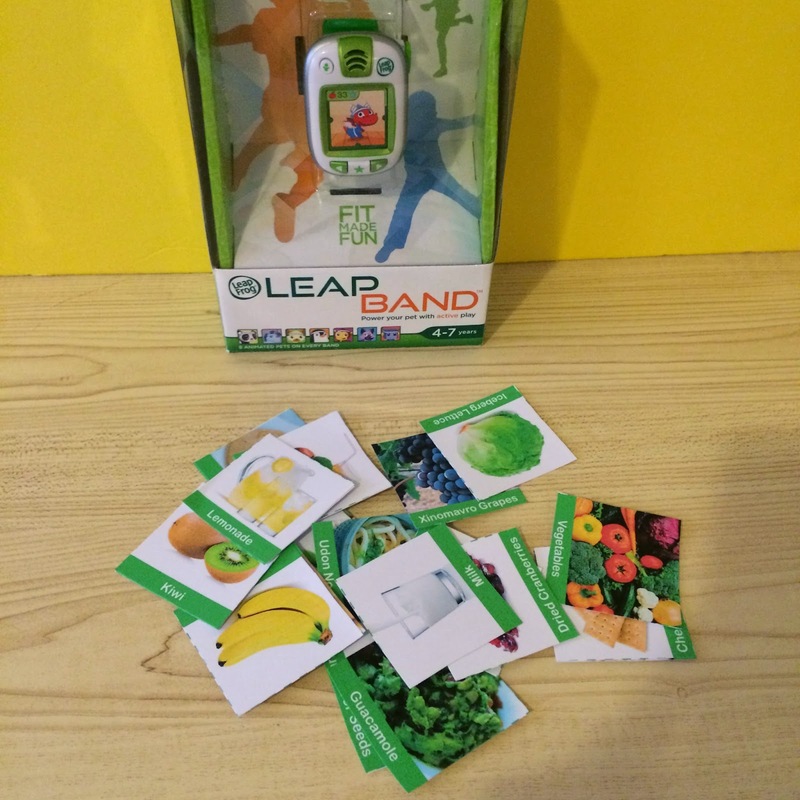 The LeapFrog LeapBand is a fun activity tracker made for kids. First you get to pick your own virtual pet that you can take care of. The more active you are the more points and rewards you get to take care of your pet and also play other games. 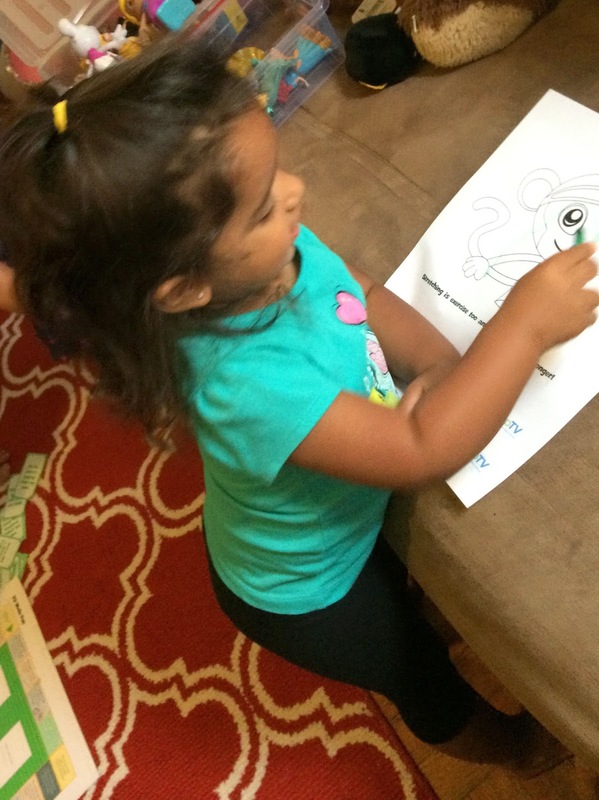 You can help your child pick challenges to do throughout the day like "Jump Like a Frog" and "Walk Like a Crab." It also has a feature that helps kids learn how to eat healthy. The LeapBand has a rechargeable battery, is water resistant and you can manage play time with quiet/school mode. I was chosen by MomSelect to have a Fit Made Fun Party with the LeapFrog LeapBand. On September 6th other lucky moms also hosted a party to virtually participate in Fit Made Fun Day. I received two LeapBands and some yummy CLIF Kid Zbars to give out at the party. Since my nephew was the oldest of the group he was the first to wear the LeapBand and test it out. He choose the monkey and did some of the challenges to keep his pet going. We then played some games that LeapFrog has for us to print out. 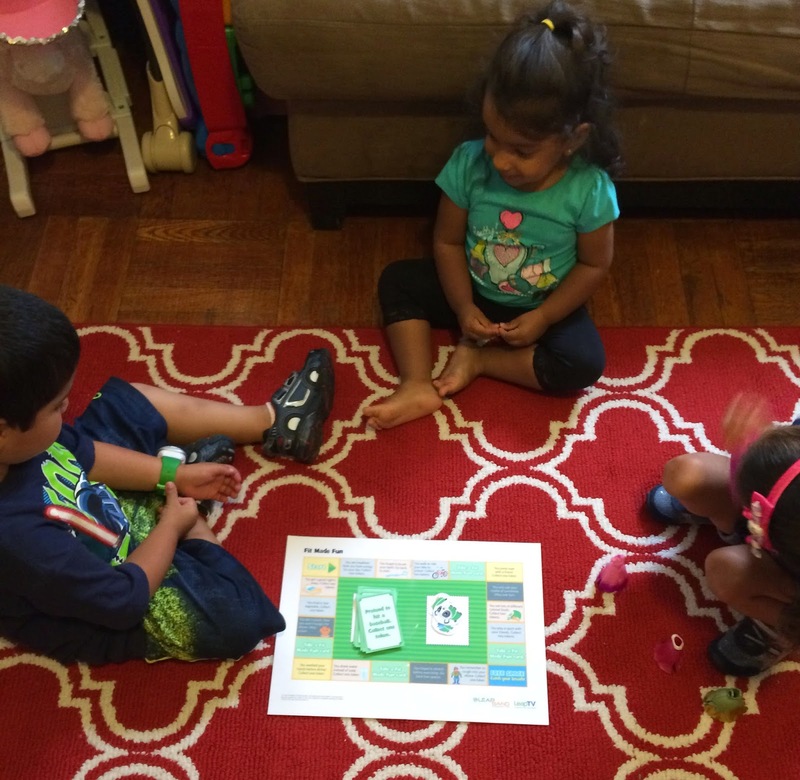 First we played a Fit Made Fun Board game where they got to learn about health and fitness. 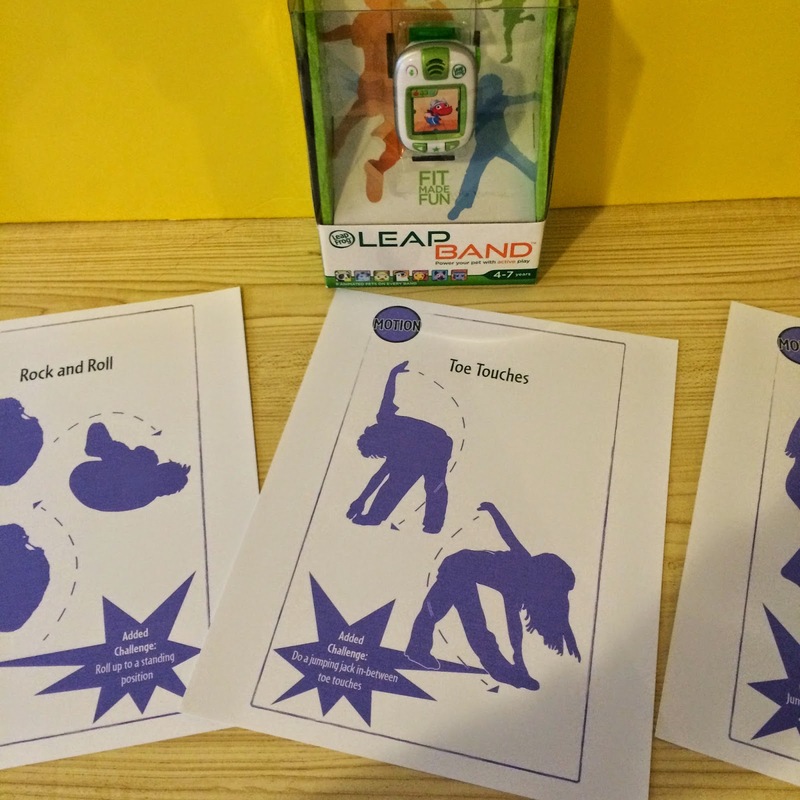 Then I took out the activity flash cards for them to get super active. Then they rested a little by getting to color while learning about healthy eating. Lastly they got to regain some energy burned with the CLIF kids zbars. 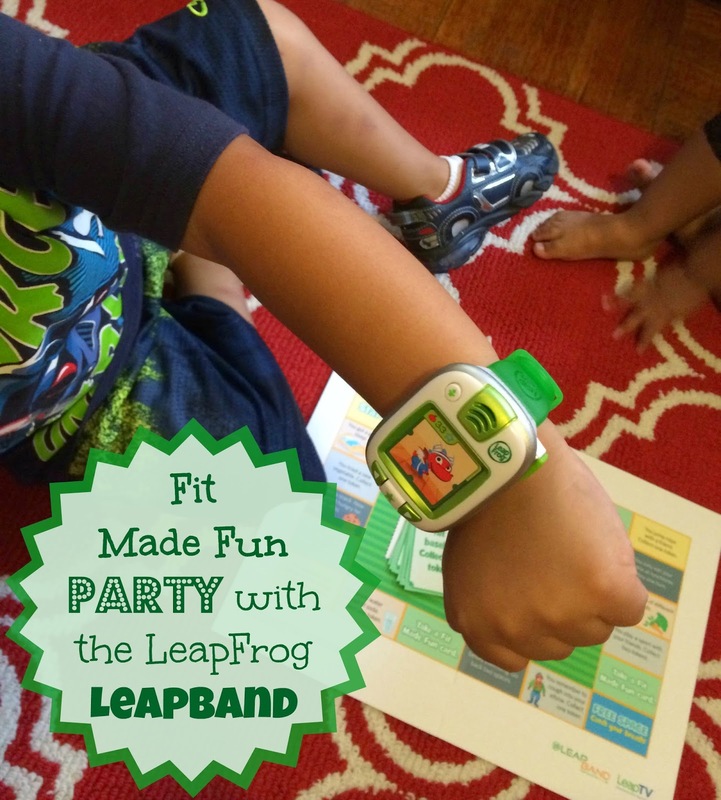 I received two free LeapFrog LeapBands and some CLIF Kid samples to host a Fit Made Fun Party sponsored by MommyParty. All opinions are 100% my own. Is it just the watch you get or flash cards too? Those looked like fun. We saw one of the bands in Walmart and two of my kids really want one. I love that it times them running. Looks like fun. 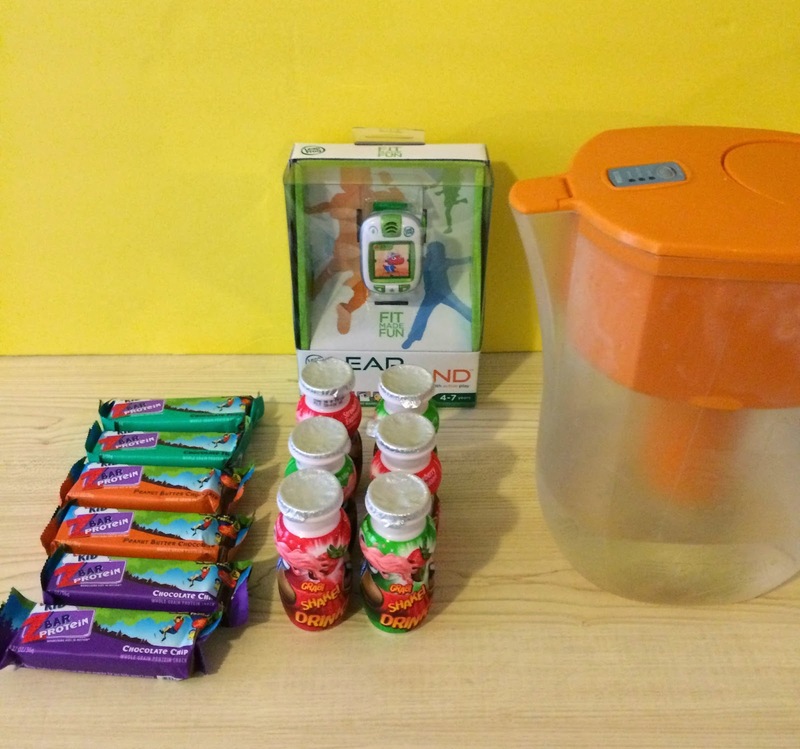 Leapfrog has some awesome products for kids! My kids have leappad and leaps ter explorer. Those are great so this. Must be too. Sounds like a great purchase to get those kids off the couch or out from behind their electronics and GET ACTIVE while still learning and having fun. The leapband looks so cool. My kids would love it. Those bands look really neat! What a fun party! I know that my son would really like this one! THanks for sharing, fun party!! I love that you made it fun for everyone! What a great party and the Leap Band is awesome. Looks like an awesome product for kids. Will have to get one for my daughter. This looks like so much fun! My five year old would love this! 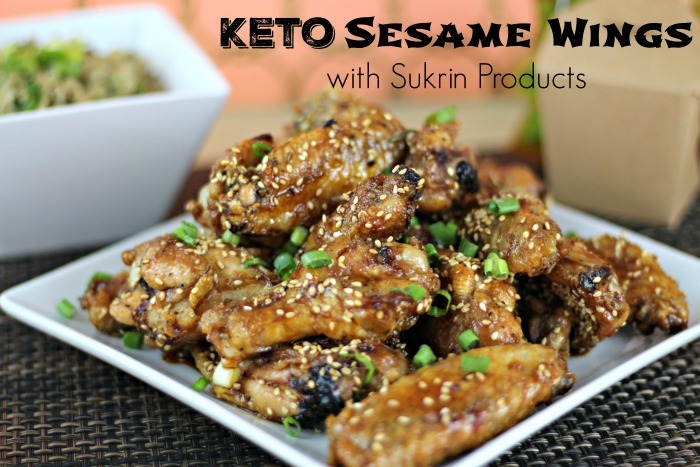 Love that you made a party out of being healthy and active! I think these are so cool! I want one for my daughter!